Brief summary of venue Hamerkop Kloof is a long kloof, the lower part of which is owned by the Hamerkop Mountain Trust while the upper part is privately owned, so off limits unless you have a permit from the landowner. 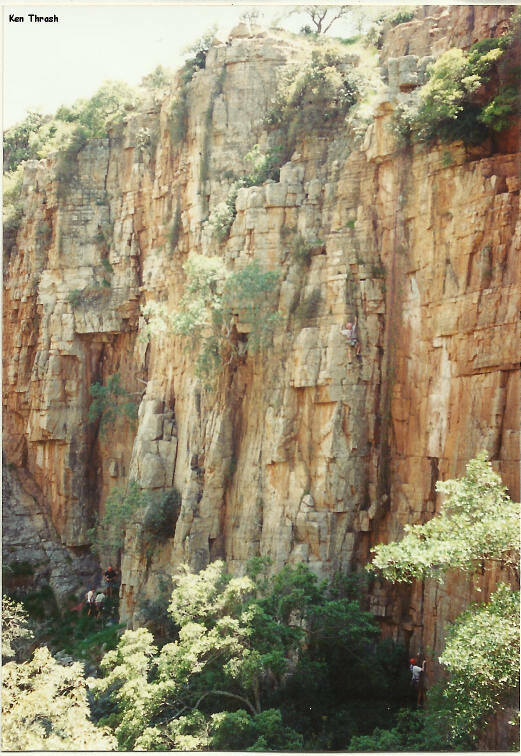 The kloof is home to over 200 trad climbs along its length, of which most are grade 18 and below. Many of the routes are also one pitch long, making the area a safe and fun venue for people starting trad climbing. Hamerkop has one of the shortest walk-ins of any of the Magaliesberg kloofs, making it a popular crag for families with young children. Permit/ permission info The lower section of Hamerkop Kloof - the boundary of which is marked by a water pipe leading into the kloof - is owned by members of the MCSA who have formed the Hamerkop Mountain Trust. The MCSA Jhb Section owns an access servitude for members, which means that no permission is needed by MCSA members providing that the number of members on private meets doesn’t exceed 15 people, and that the MCSA’s one-member-one-guest rule is adhered to. Members wanting to climb in the privately owned upper section of Hamerkop Kloof - beyond the water pipe boundary - must obtain a permit from the landowner. Permits, which cost R60 per person, can be bought at the landowner’s gate, the entrance of which is 50 metres to the left of the gate leading into Hamerkop Kloof. Anyone without a permit is asked to please respect the landowner’s property. Approximate travelling time from Johannesburg 1.5 hours. Parking information The designated parking area is under trees on the right side of the dirt road leading to the Hamerkop House and is considered safe. Info on walk in The walk in to Hamerkop Kloof is one of the shortest for a Magaliesberg trad climbing venue, taking about 20 minutes. Accommodation The Hamerkop Mountain Trust owns a house in the area (further along the dirt road from which the parking area branches), which is out of bounds; please respect Trust members’ privacy. Availability of water for drinking There is a good constant supply of water throughout the year. 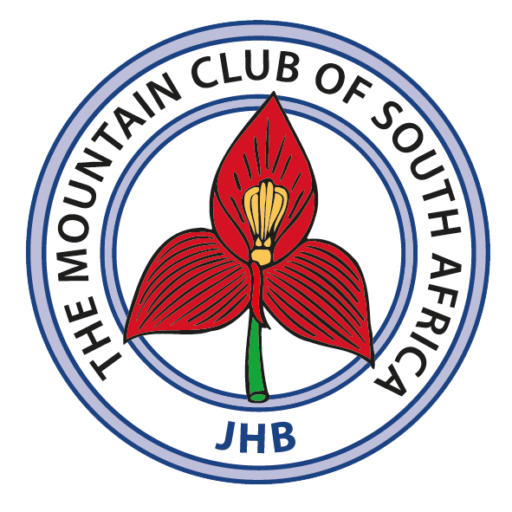 Climbing route guide The MCSA Jhb Section has published a route guide for Hamerkop, which is available from them. 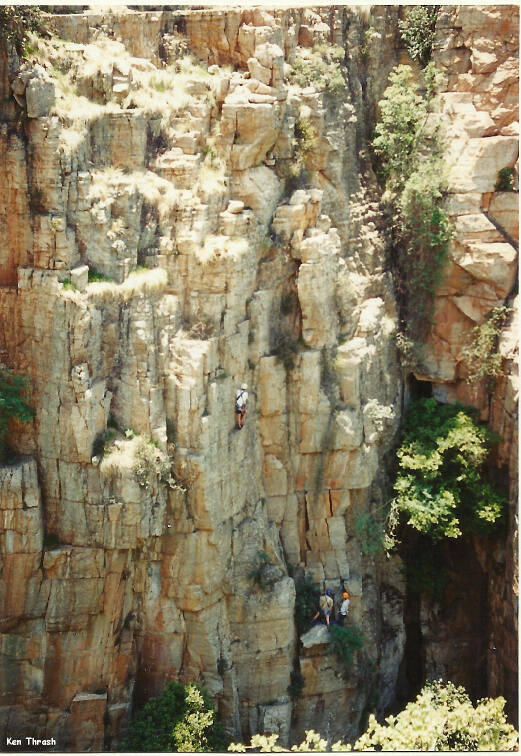 Climbing information There are over 200 trad climbs found along Hamerkop Kloof - including over 100 on MCSA property, many below grade 18 and just one pitch long - making it a superb kloof for beginners and socialising while climbing. 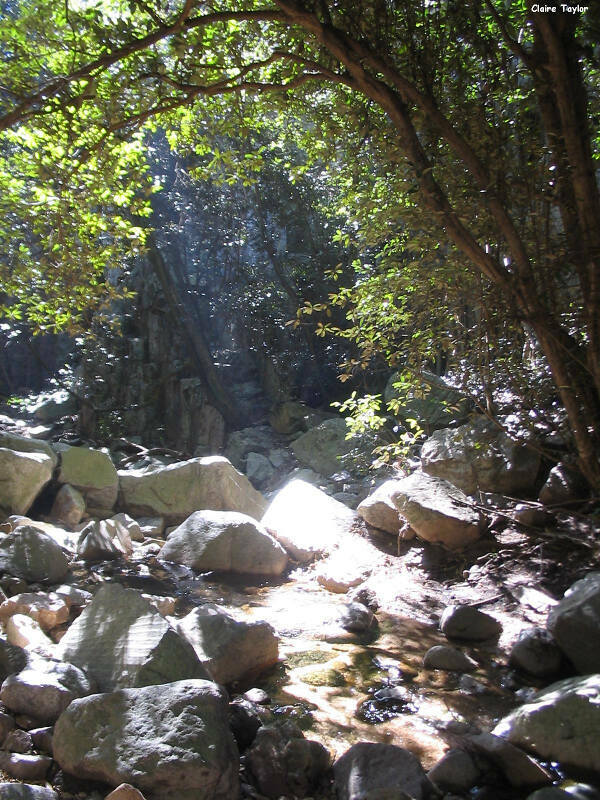 Climbs can be found in either the sun or the shade. 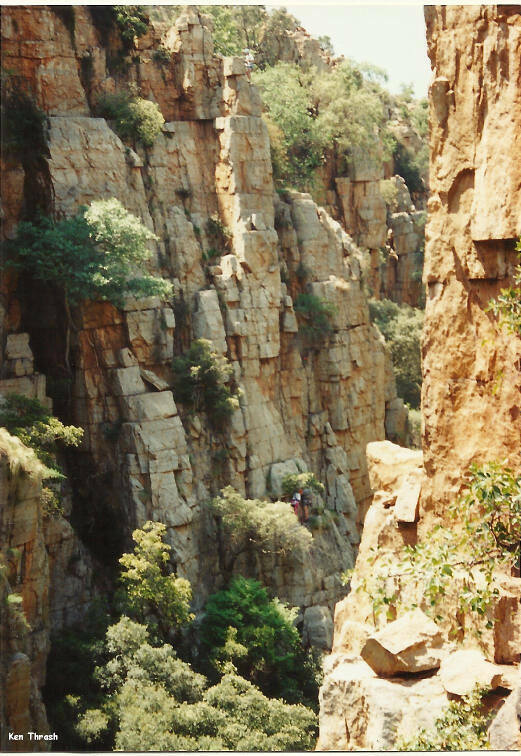 The longest climbs - 50 to 60 metres long are in the lower section of the kloof on the true right. There are a limited number of descent gullies, which (except for the pipe ramp, on the true right) are steep and have loose rock, so take care when walking off. Child friendly Yes – the walk in is relatively short, though it does involve some steep sections and river crossings. Swimming The pools are too small to swim in, but are big enough to splash around in to cool off, especially for children. Contacts Hamerkop access is resctricted to each MCSA member taking one guest. No permits are available for non-members.